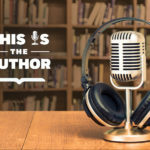 In this episode of This is the Author meet Neil deGrasse Tyson, co-author of Accessory to War, Ryan North, author of How to Invent Everything, and Bradley Tusk, author of The Fixer. 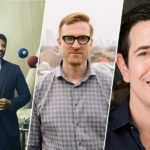 Go from space exploration to start-ups, as each of these authors explores the surprising intersection of seemingly-unrelated things: science and military power, history and science, and politics with tech, and business. Plus, hear one author’s plan to gain an invite to Patrick Stewart’s birthday party.